Our mission at Cat’s Whiskers is to provide high quality veterinary care for cats with personal support and advice for their guardians. We deliver this in calm, comfortable, modern and well equipped surroundings and our focus is on preventative health care ensuring your cat is fit and healthy for as long as possible. However there are times when your cat might be unwell or suffer an injury from an accident, in or out of the home, and will need emergency treatment or hospitalisation. The veterinary world has developed over the last fifteen years and we are now able to treat many more conditions effectively after thorough investigations. We complete major surgery on site and we have a number of specialist teams we can refer patients to if needed. These include cardiology, ophthalmology, physiotherapy, endoscopy and orthopaedics, but there are many more services available. Along with the increased knowledge and skills of our current vet, there are also the facilities available for cats that need an ultrasound, MRI scan, or CT scan and labs that can test many different samples; blood, skin, biopsies, ear swabs just to name a few. Many years ago these treatments would not have been possible meaning cats were not diagnosed quickly and often had a poor quality of life. Of course, these additional treatment options don’t come without a cost. Having insurance for your cat is essential to ensure you are able to fully protect them against any illness or injury they may have. This is just as important for indoor cats as outdoor cats as many accidents happen in the home; tails get trapped in doors, kittens misjudge their jumps, and cats ingest foods they shouldn’t. Many people feel insurance isn’t right for them as it is ‘wasted’ money and prefer to put a little bit of money aside in case of an emergency. Although this may help financially if you have had your cat for 15 years and you’ve saved £20 per month (£3600 over 15 years by which time the cost of inflation will mean this isn’t worth as much), it is possible your cat could be injured or unwell in the first year of their life and you only have saved £240 – would you be able to cover the cost of treatment? We see many cats who have suddenly become unwell and have needed emergency treatment which adds financial strain onto owners at an already worrying time. 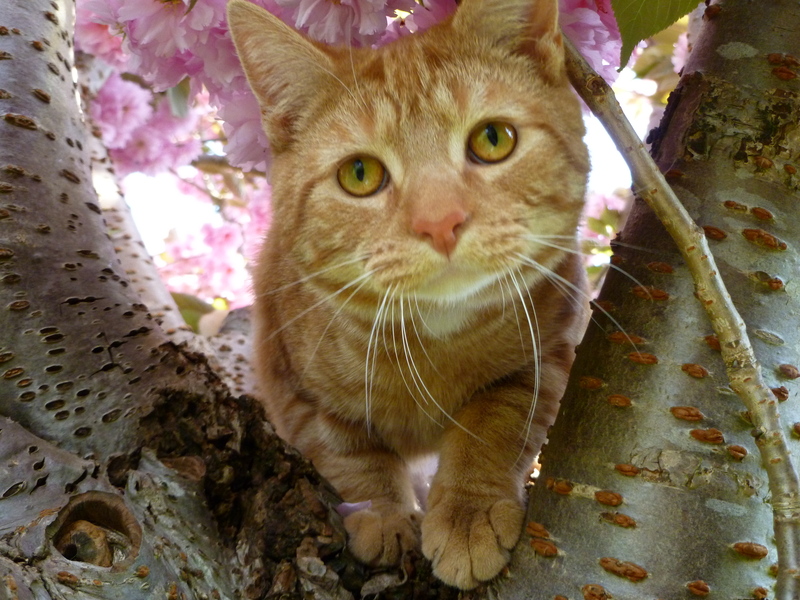 “I am eternally grateful that I had pet insurance for Ferdi! The last couple of months of him suddenly being so poorly with pancreatitis, which entailed so many impromptu visits, tests and medication to control the pain and unpredictability, would have been so much more traumatic if I had had to stop and worry about money every time he showed signs of going back downhill, especially the times when he just needed to come to you every few days for medication as he was simply refusing to eat! It was difficult to tell how much pain he was in each time (as cats are little troopers!) and it was such a relief to know I was in a position to scoop him up and bring him in immediately if I had any suspicion the inflammation was flaring up again, avoiding him taking backward steps and always moving forwards. I think deep down I have a distrust of insurance of any kind and had always assumed it would be more trouble than it was worth and unlikely to be needed anyway. However, it really has turned out to be the best thing I ever did and I would have had to beg, borrow and steal to find the £2,500 required to get him through otherwise! And how hard would the heartbreak have been having to decide when enough was enough and give up on him due to money worries? I was also amazed to find the insurance claim was quickly paid in full with no quibble, direct to my vet and absolutely no hassle at all for me. How fortunate am I, I still have my best little pal – and I can still afford to go on a much needed holiday this year too! Pet insurance has been worth every penny to me for the peace of mind and enabling me to concentrate on what was best for him and I don’t know how anyone can risk not having that sense of security”. If you are unsure about the best needs for your cat, please do not hesitate to contact us for help. Each member of our team has undergone training in line with the Financial Conduct Authority to ensure we are able to discuss the Agria products with you, and help you protect your cat. 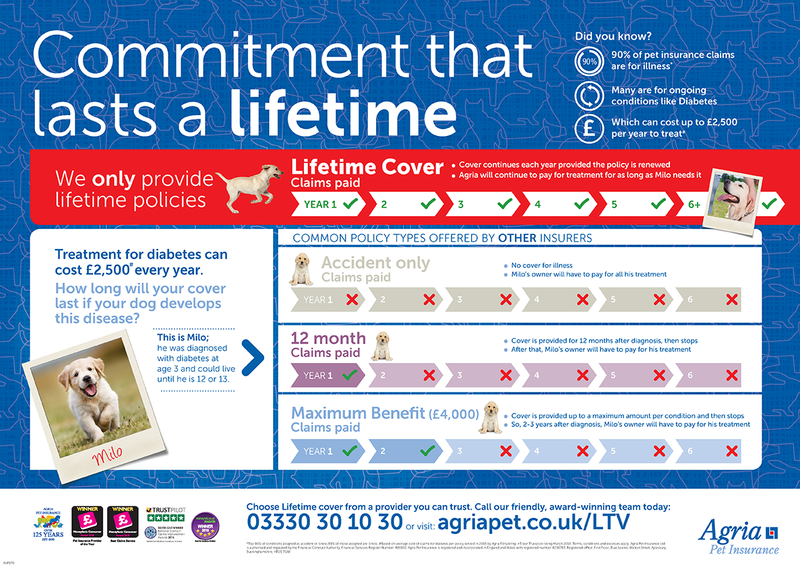 If you visit us with a cat that is 18 months old or younger, we will give you five weeks free insurance to get you started and protect them from day one; Agria can then extend this cover for you. If you would like to find out more and get a quote for your cat today, click here . It is never too late to insure your cat, and if needed, you will be so pleased you took cover out.